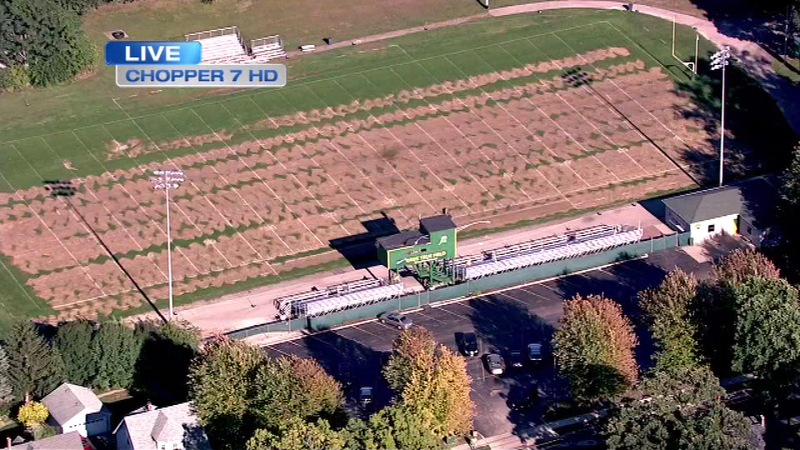 CHICAGO (WLS) -- Weed killer wiped out the football field at St. Edward High School in west suburban Elgin, so Friday night's football game was moved. Crews accidentally put weed killer on the field instead of fertilizer, damaging about two-thirds of the grass. St. Ed's will play at IC Catholic Prep in Elmhurst Friday night. A decision on future games will be made on a week by week basis.